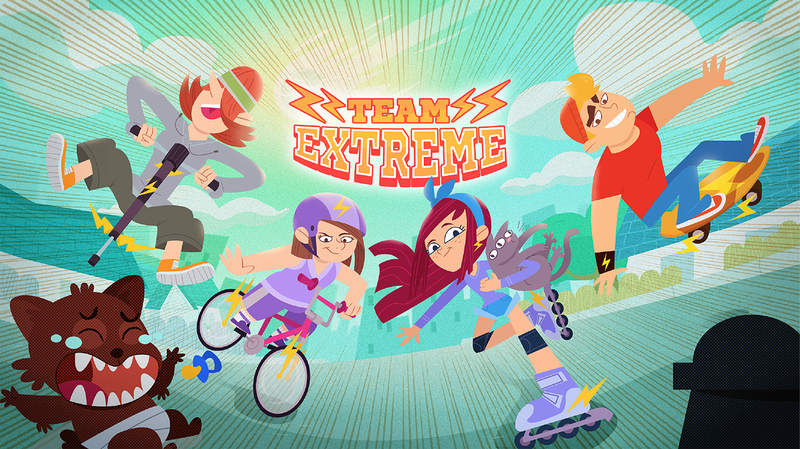 Team Extreme is a collection of IP Development work that was created by the Nucco Brain team based around extreme and action sports aimed at kids, specifically generation Z, an ever increasing economic contributor. 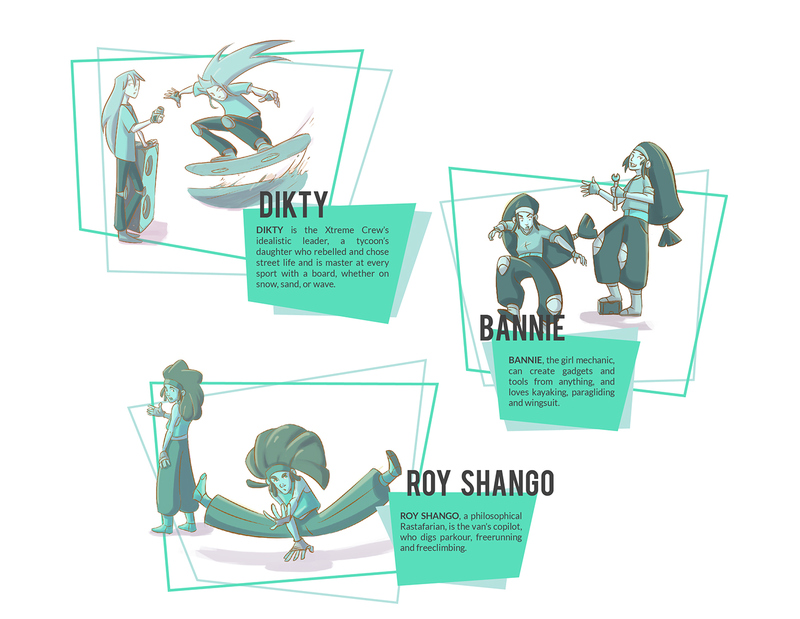 This IP Development consists of three different approaches, styles and storylines all with their own edge that makes for an entertaining viewing! These are heroes at 1000 BPM! 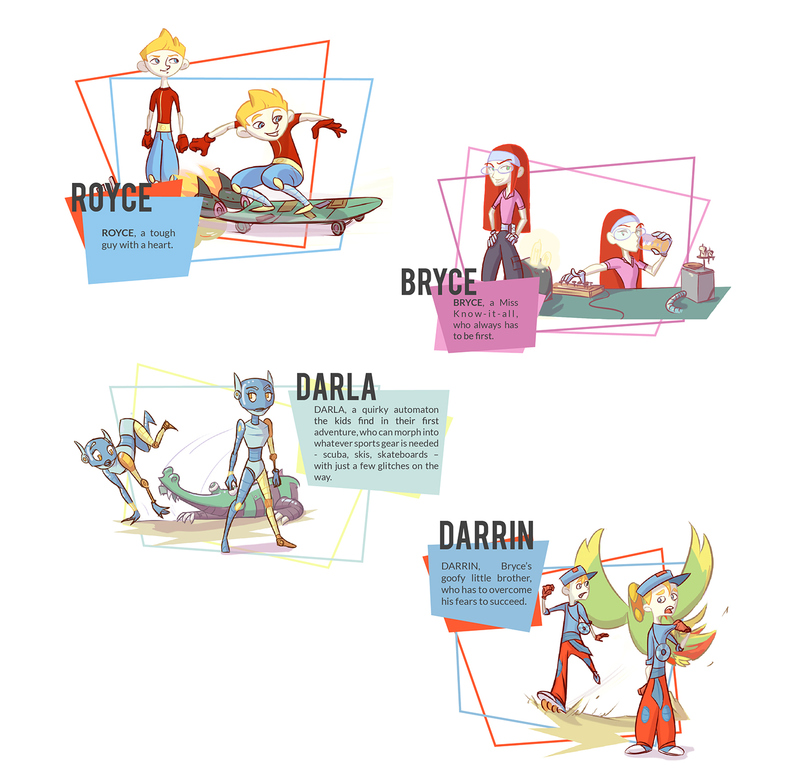 Adventure Time meets Pokemon and The A-Team in an action packed cartoon show with a musical edge. 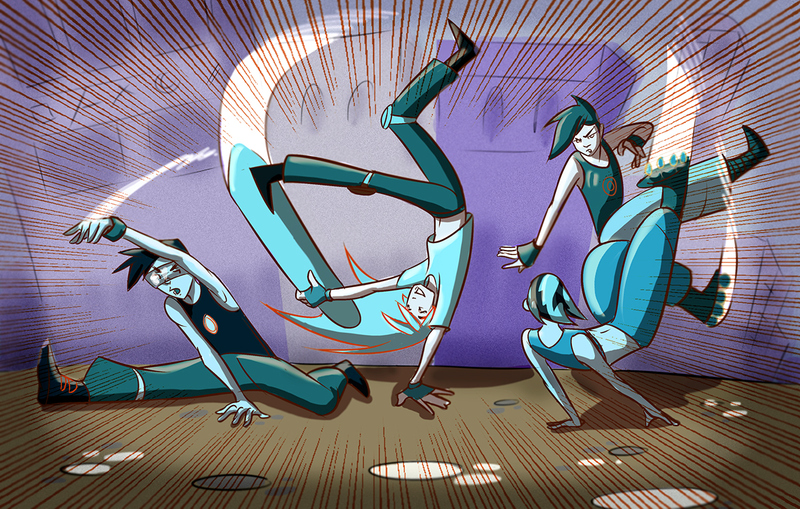 In this freaky melting pot, a new generation of urban heroes rises: THE XTREME CREW. 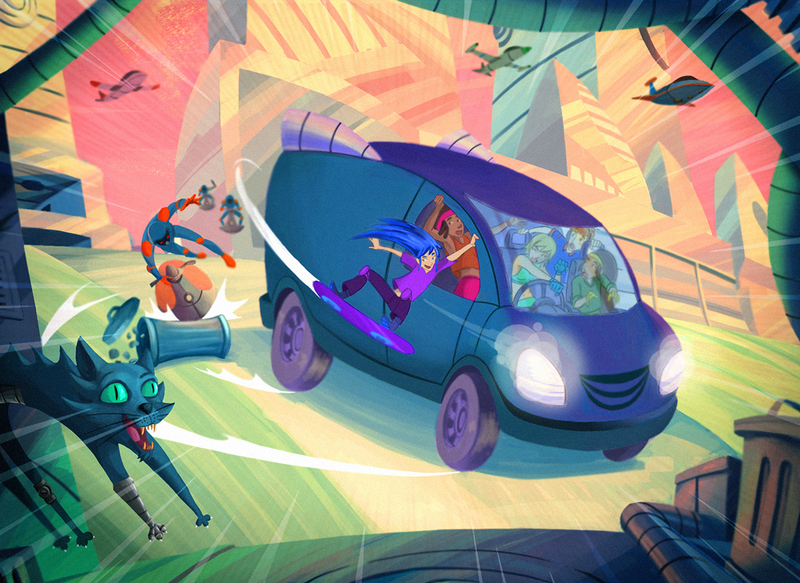 Strong, brave and a little bit crazy (well, maybe not so little), they live on a beat up, futuristic van with a thoughtful but pedantic A.I., and lots of useful gadgets from a soda cooler to nanomachines. 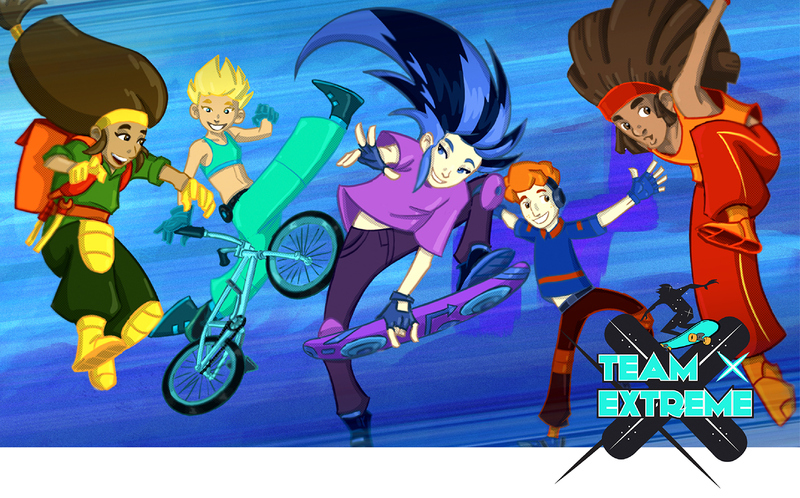 Team Extreme is the funniest, craziest crew of extreme sport freaks out there. They live in the suburb, although they wish they were in the city, where the real action is. 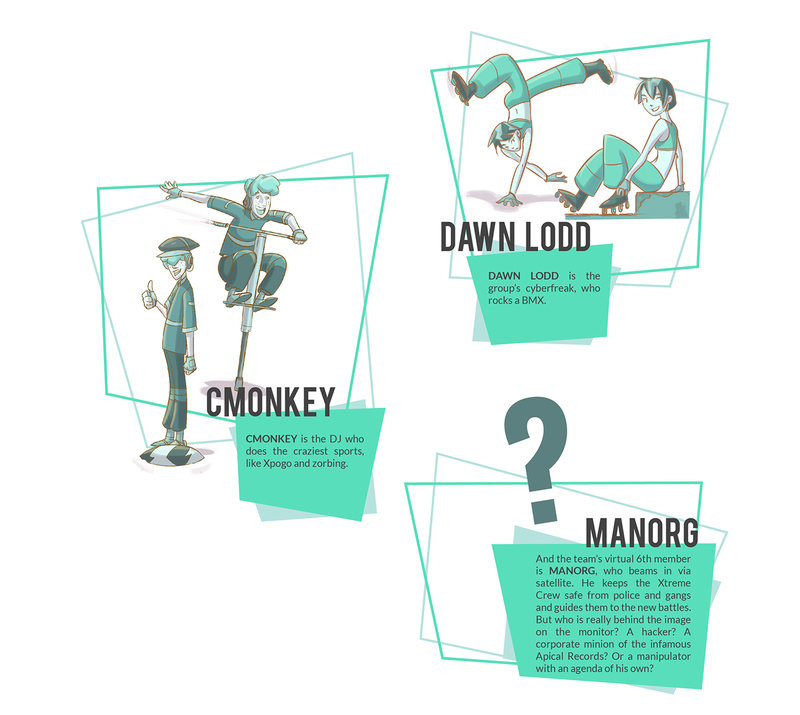 They practice their skills at the neighbourhood playground, dribbling toddlers and grannies, whilst dreaming of a proper skate park. 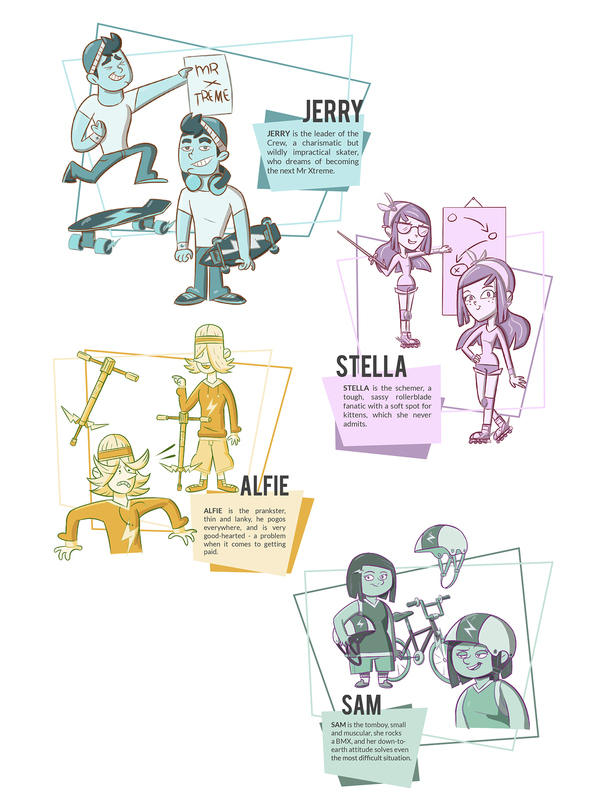 Their hero is MR XTREME, star of an extreme sports TV show. But to be like him, they need cash for new sports gear, and to go to town see him perform. So when their parents refuse to pay up, they decide to start their own business: solving extreme problems for a fee. 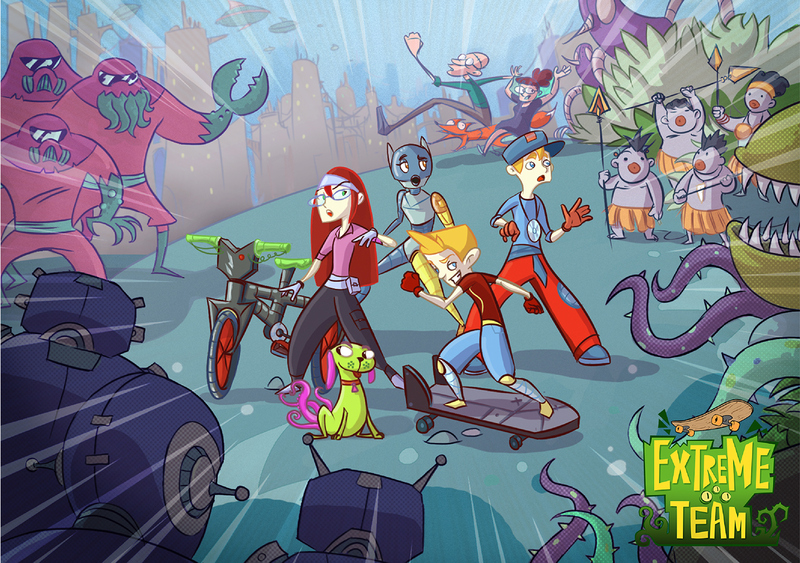 Finding missing people, babysitting werebabies, avoiding meteorite collisions...no job is too extreme! And when all else fails, their extreme sports save the day. They’re a bit crazy and OTT, but they always win... and anyway, extremeness is where the real fun lies! All of which is horrifying to THE QUIETNESS COMMITTEE: old Grannies from the neighbourhood, who want to keep it nice, quiet and peaceful. In a word - boring. One of these tells of a computer called the MECHANOGGIN that knows everything and can reboot human history. THREE KIDS, longing for adventure, remodel a battered van full of repurposed old world equipment and go in search of it.